Clenching Tongs Jim Blurton Curved jaw - $0.00 : Hawkesbury Toolworx - Tools, Farrier Supplies & Outdoors - Specials- For an extensive range of tools for all types of tradesmen and all your farrier, hunting and ammunition or outdoor supplies. 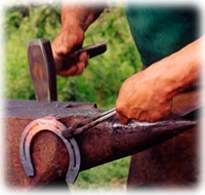 Made in the UK by Jim Blurton - former world champion farrier. Revolutionary designed tool which allows replacement of the top jaw when needed. The handles on this tool are ergonomically designed half-round and fit perfectly in the hand. Top jaw is made from EN24 tool steel and hardened to 58 Rockwell. 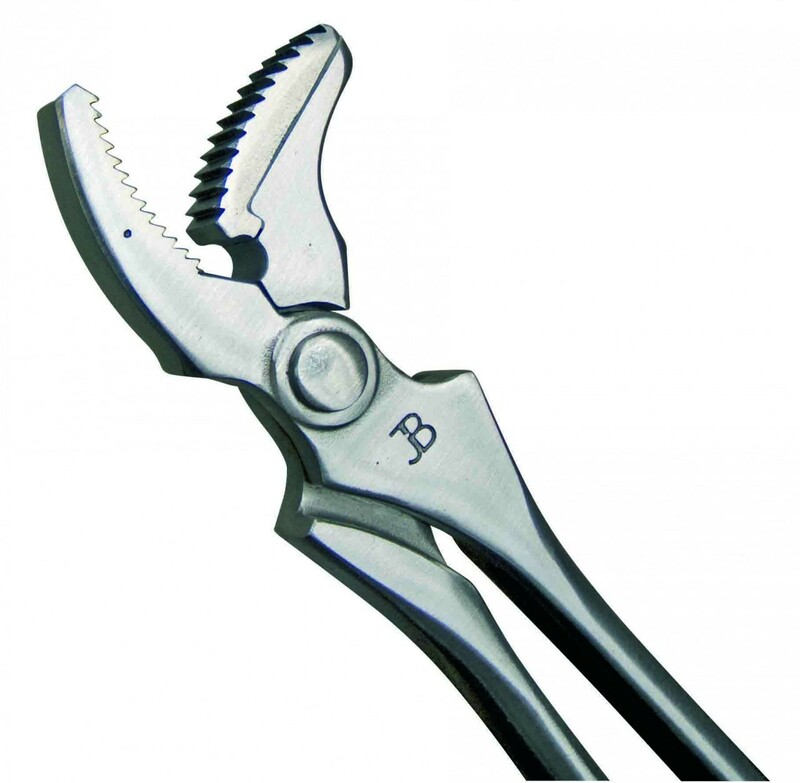 Top quality clenching tongs for the professional farrier.